Everyone is different. I literally teach people aged from their teens up to their 90s, male and female. People who are quite fit and people who aren't so fit. People who are quite healthy and some who have serious health issues. 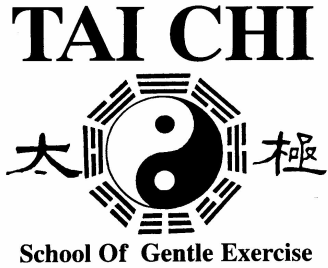 Large number of students that join the School have either heard about the benefits of Tai Chi from Electronic Media, Internet, Newspapers, Family or from Friends and are keen to give it a try. For the ninety percent of people who have never done Tai Chi that join, I slowly teach the basics such as Joint Alignment, Posture and Spinal Alignment and how this creates movement without placing stress on the joints. Testimonials With the right relaxation applied we can create movement. I explain, demonstrate and teach correct posture so that gravity doesn't become caught in muscles and joints. I also teach how when one part of the body moves another part of the body must also change and adjust so to improves one's balance when moving. I try to bring a person's awareness into their body so that they can begin to discern between muscles that they need and ones that they don't. (I often used the analogy that people are often like cars. When they drive they forget to take the hand brake off and drive around with the hand brake still on). Its similar with muscles they forget to let go of muscles they no longer need, or require, these muscle that are still being used are actually causing them to lose balance and actively inhibits movement. For these students I take things very slowly and gently and introduce them to the fundamentals and basics of Tai Chi. For the other 10 percent, I have found this 10 percent that has done Tai Chi before and are in search of a more in depth instruction of Tai Chi. They want to investigate and apply more of the philosophy of Tai Chi and go deeper into the moves and experience the cause and effect. For this 10 percent I often send them to my more advanced classes which is better suited to them. I look at it like buying a car. If you go to Toyota you can buy the most basic model such as the Yaris. From the Yaris you can go all the way to the top of the range to a Lexus. No one should be forced to buy a Yaris when they want a Lexus and vice a versa. Everyone has different wants from Tai Chi. As a teacher its my job to make sure that they achieve the level of Tai Chi that they want and feel comfortable with. From rudimentary to the most advanced Tai Chi.